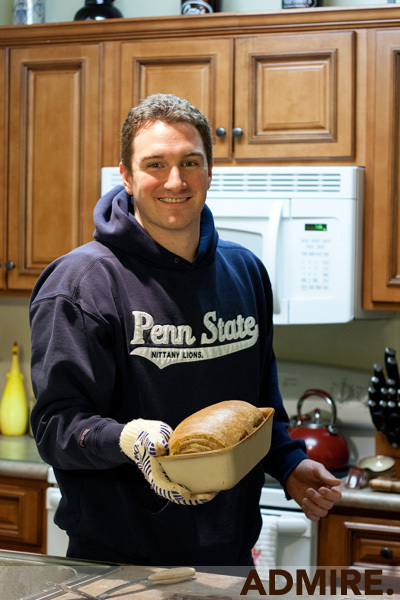 I baked my first bread two years ago. Since then, I have made loaves of sourdough, French baguettes, and focaccia with fresh chopped herbs. 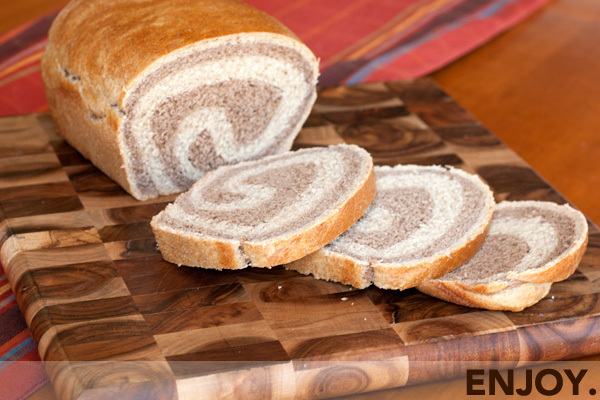 But I’ve always had my eye on the marble rye for two reasons: 1) a few years ago Emily and I visited NYC, and we had an awesome pastrami sandwich on rye bread at Katz Deli, and 2) as a Seinfeld fan, I felt compelled to make the infamous marble rye that Jerry stole from the little old lady. I found a recipe in my new favorite book, The Bread Baker’s Apprentice, and the process was actually much easier than I anticipated. For the light rye: Combine the flours, salt, yeast, and caraway seeds (optional) in a mixing bowl. Add molasses, shortening, and water. Blend with a stand mixer for 4 to 6 minutes until a nice ball forms. 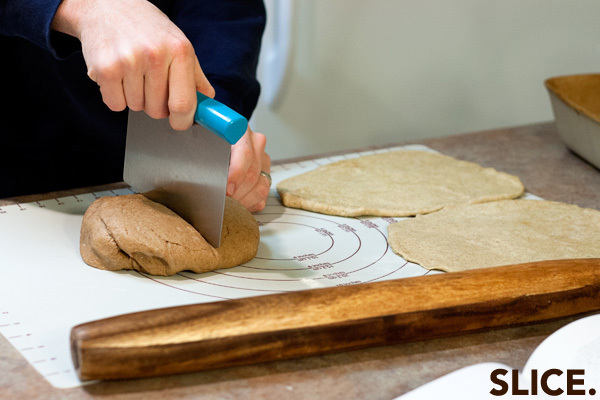 Transfer to a lightly floured surface and knead until dough is smooth and elastic. 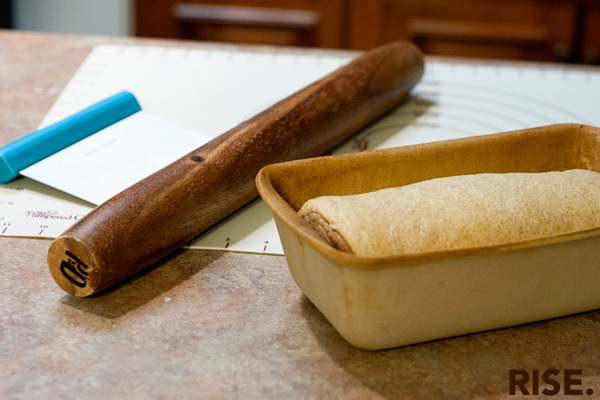 Place dough in a lightly oiled bowl and cover with plastic wrap. 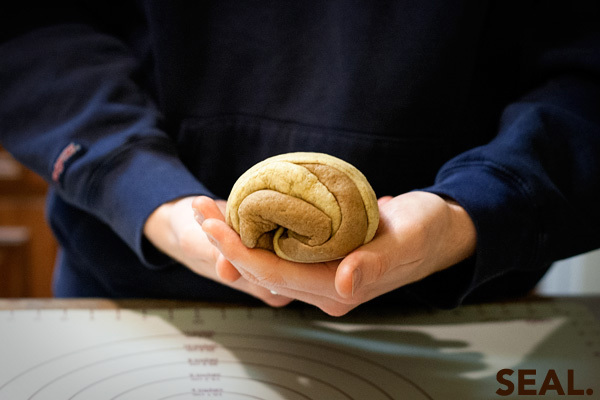 Let it sit at room temperature (or warmer) for 90 minutes, or until dough doubles in size. 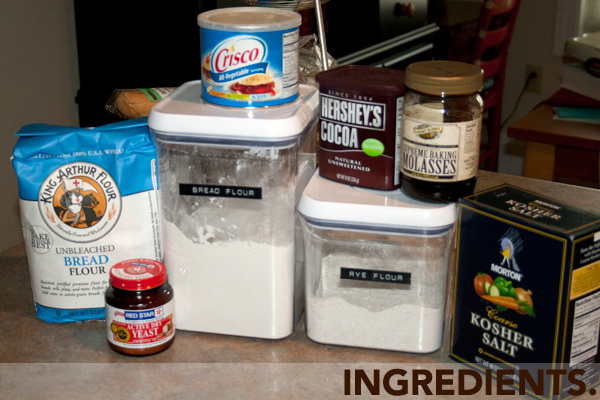 For the dark rye: Repeat the same process as for the light rye, but add cocoa powder to the flour mixture. 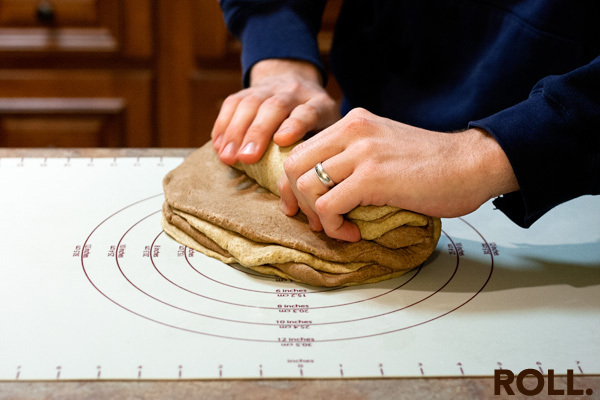 Divide and shape the dough into 4 (2 light and 2 dark) evenly-sized oblong circles (our loaf pan is 8.5 x 4.5 inches, so I made the circles roughly 8×6). Stack the dough on top of one another, alternating the light and dark. 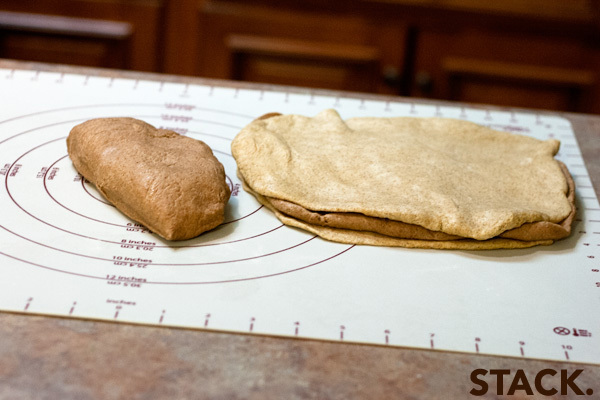 Roll the stacked dough into a bâtard and seal the bottom. Place into a bread loaf pan. Mist the loaf with spray oil, cover, and let rise for 1 hour. Brush with egg wash before baking. Preheat the oven to 350 degrees, and bake for about 45 minutes, rotating the pan halfway through. Remove from oven, cool on rack, and let sit for 1 hour. Slice and enjoy! On the first night, we spread Nutella onto warm slices and ate them with a tall glass of milk. 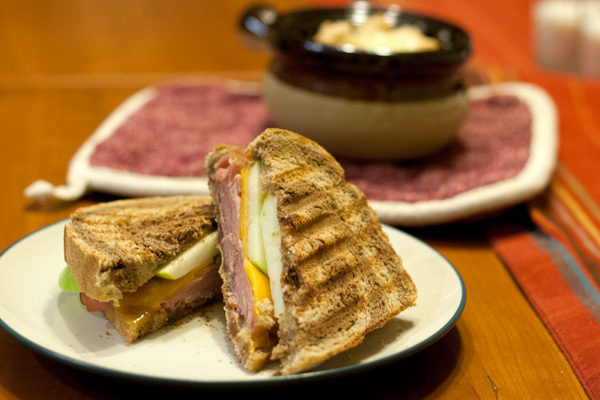 And on the second night, we made marble rye paninis with maple honey ham, Vermont cheddar cheese, and thinly sliced Granny Smith apples. Delicious! Wow…that looks incredible! Especially with nutella, mmmmm…. Wow, that looks incredible. I’m dying for a pastrami sandwich now, and it’s only 8am. How do you both stay so thin? This is a beautiful loaf of bread! Very impressive! Thank you thank you thank you! I spent the better part of the day making this because it’s my first attempt at making bread but it was so worth it! This bread is amaaaaaazing!